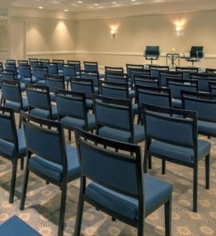 The meeting and conference spaces at the Hamilton Princess & Beach Club, A Fairmont Managed Hotel combine old-world splendor with 21st century facilities. The hotel is the premier address for a Bermuda meeting and is spectacularly located for easy access to Hamilton’s business district. Support from staff that includes event planning and catering is comprehensive and specialized for each group. 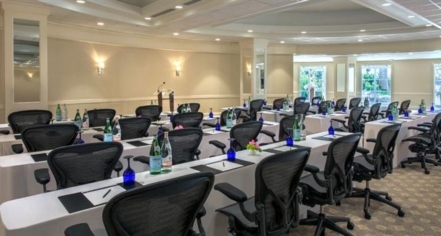 With several rooms that have a combined 29,000 square feet of indoor and outdoor meeting space, planners will have access to plenty of space in these state-of-the-art facilities. The Habourview Ballroom and Princess Ballroom are the hotel’s two largest spaces, each accommodating up to 1,000 and 500 people respectively.